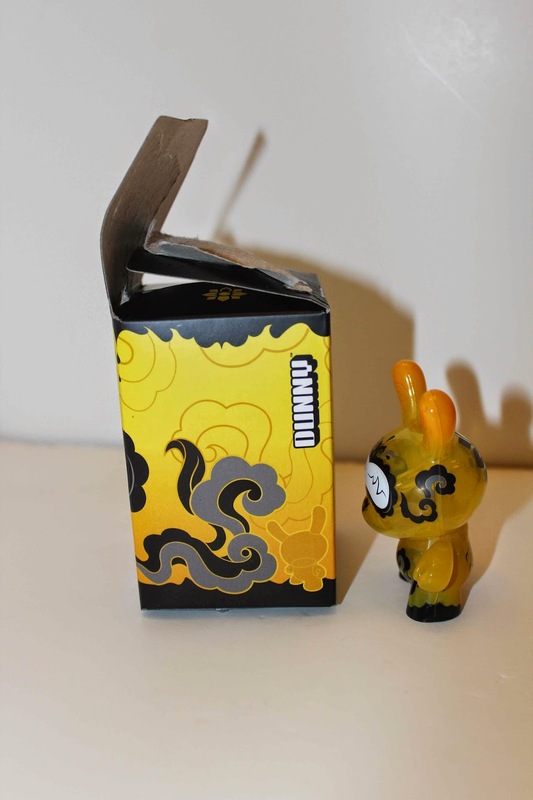 Kidrobot recently had a very special super limited sale, Box of Boom that was limited to only 50. 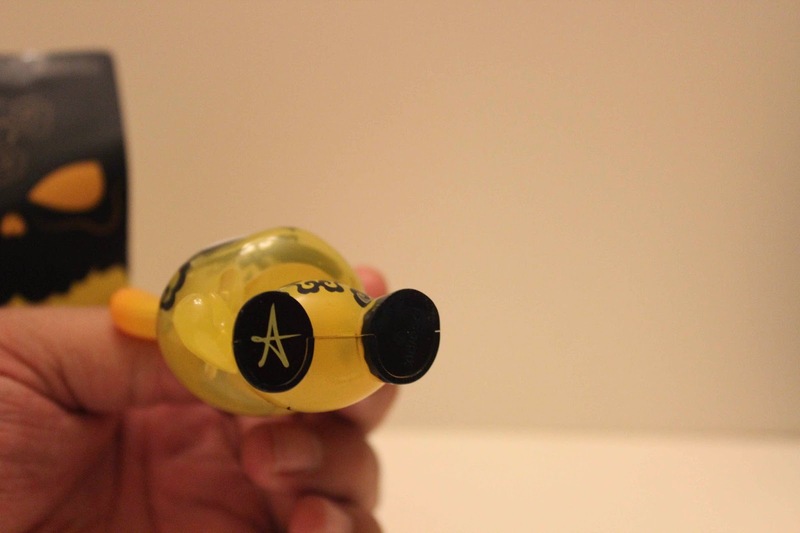 We have been fans of the mystery grab bags since we collected baseball cards back in the late 80's and loved the thrill of seeing what would be inside. 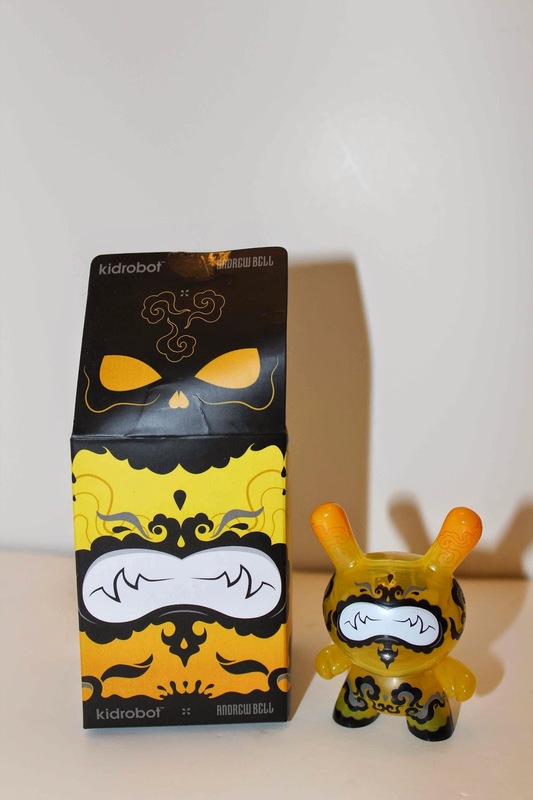 The Kidrobot Box of Boom is in the same lines and it was like an early Christmas present to see what surprises we would get inside. 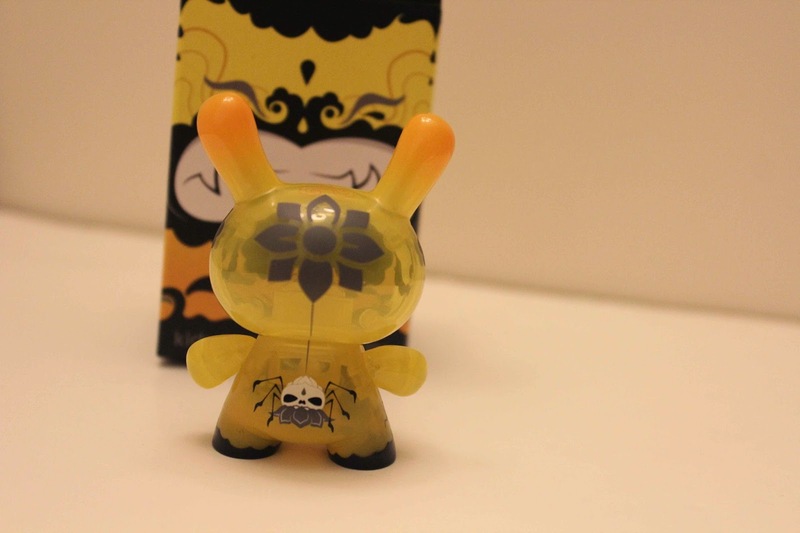 Kidrobot mentioned that there would be a possibility to get an unreleased, sold out item and we received just that with a Surprise Andrew Bell Lemon Drop Dunny. 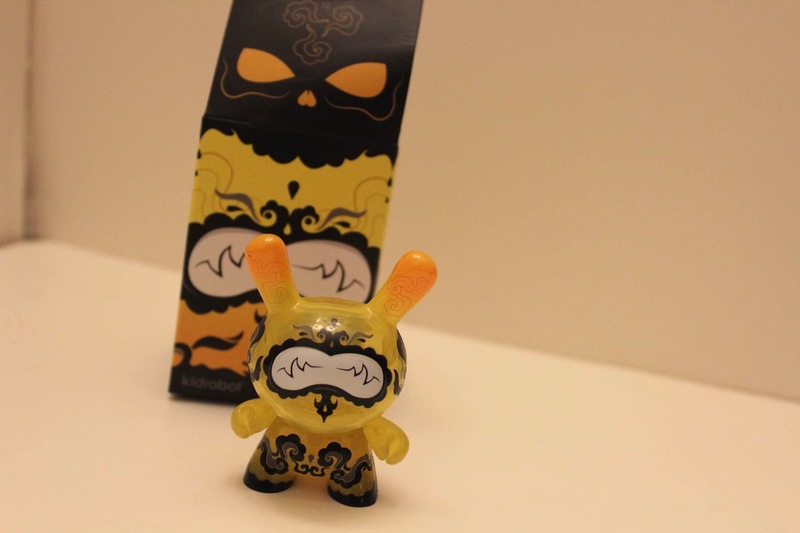 The designs on the figure are beautiful and were printed on a clear PVC. 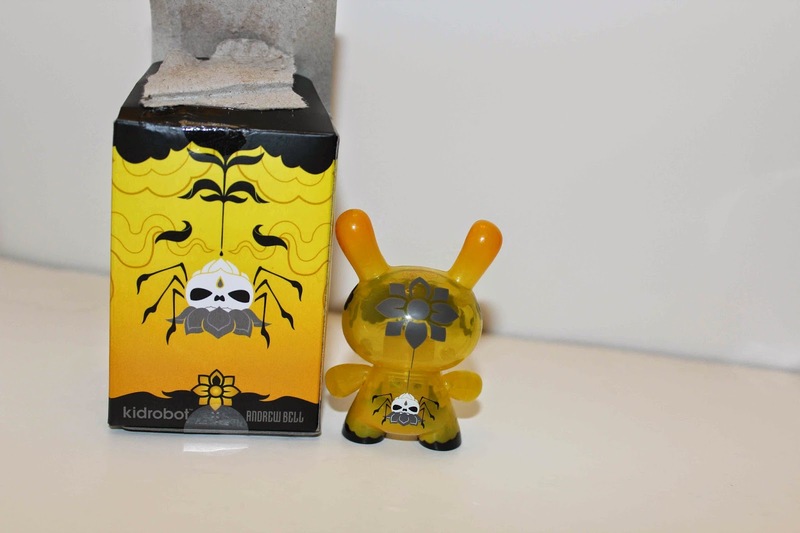 The designs continue around the Lemon Drop Dunny, which features my favorite on the back with this amazing spider like creation. 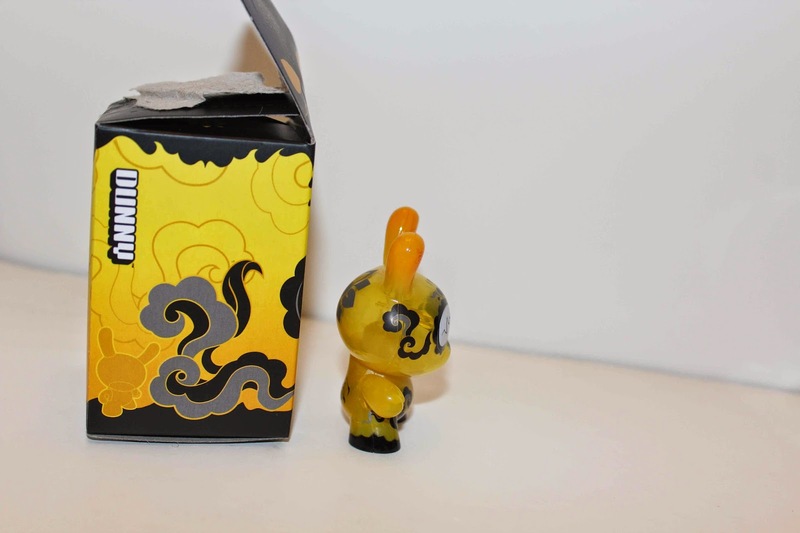 We have been trying to find more information on this truly amazing surprise from our Kidrobot Box of Boom, but very little details as of right now. 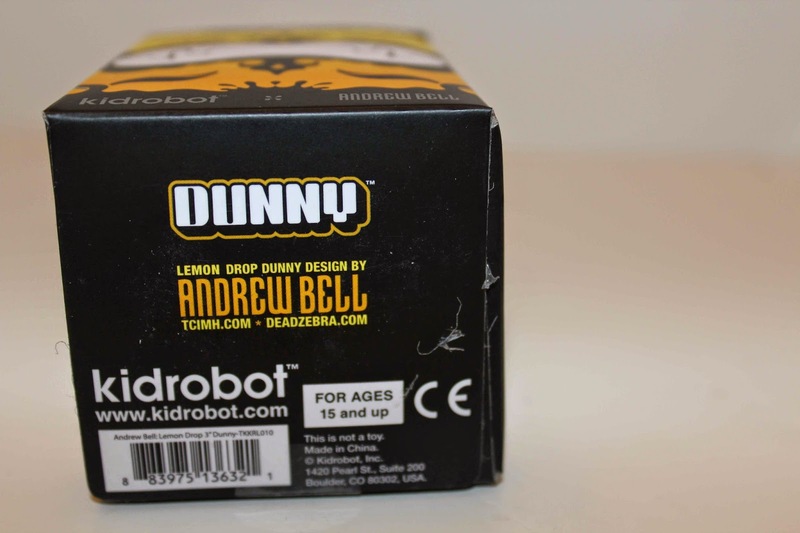 Definitely sure to be a Kidrobot x Andrew Bell Dunny release in the near future. If you are not familiar with Andrew Bell's incredible works, we highly recommend visiting his sites at http://www.deadzebra.com/ and http://www.creaturesinmyhead.com/. 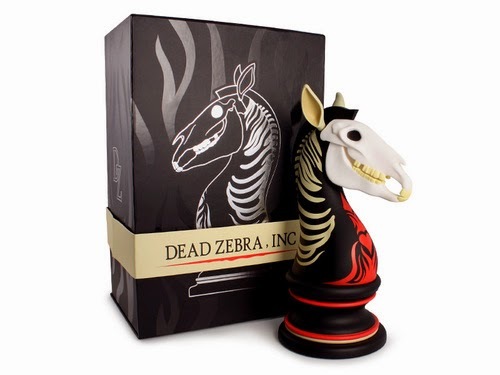 The Last Knight: Dead Zebra Edition was one of Andrew Bell's last recent releases.